Here’s a PowerPoint Slide show on how to be a trash detective. Councilman Squilla has announced that he plans to introduce a single use plastic bag bill that will reduce bag use in Philadelphia by 80% in first year. Numerous areas in the Wingohocking are prone to both surface flash flooding and sewer backups from stormwater. There are no designated 50-100 year flood plains because the historic Wingohocking Creek was enclosed in a sewer and FEMA does not consider sewer overflows in flood plain designations. Wingohocking Sewershed homeowners are not eligible for FEMA supported flood insurance even though they may live in flood prone areas. The City has allowed impervious cover in the Wingohocking Sewershed greater than the City’s combined sewers can handle during some flash flooding conditions. Downstream flooding in the City’s combined sewers is caused by upstream stormwater flows greater than the capacity of the downstream combined sewers. Upstream Wingohocking impervious cover contributes to downstream flooding. Provide adequate combined sewer capacity to protect life and property. In the Wissahickon Watershed, the City has a Watershed Overlay District that restricts impervious cover to 10 – 45% based on land category. There is no comparable Wingohocking Sewershed Overlay district. Properties along Germantown Ave between Cresheim Road and Allen Lane have an impervious cover limit while properties from Allen Lane to Washington Lane in the Wingohocking Sewershed have no impervious cover limit. Wingohocking flooding in September, 2011 caused the drowning death of a young woman who was trapped in her car in 6-feet of flood water near Belfield and Haines( video here). After initial modeling efforts by Water Department and US Army Corp of Engineers, the Water Department issued a Request for Proposals in the fall in 2015, hired a highly regarded engineering firm and received their draft report in the fall of 2018. We are awaiting the release of this critical report. The City Planning Commission reports that Germantown Avenue is experiencing “rapid redevelopment today”. This argues for immediate zoning controls of impervious cover in the Wingohocking Sewershed, including properties along Germantown Ave. The Philadelphia City Planning Commission will be holding a Germantown Avenue Rezoning meeting on March 27th. Please contact EMAN, Mt Airy USA, Mt Airy BID and the Planning Commission to ask that the Philadelphia Water Department attend the March 27th meeting and provide information on the Germantown Storm Flood Relief Capital Improvement Plan and address the potential impacts of rezoning Germantown Ave., a new Wingohocking Sewershed Overlay District or other steps they recommend to reduce today’s Wingohocking flooding situation. We must begin taking steps to protect life and property in the Wingohocking Sewershed. Philadelphia has a street trash problem that is often mislabeled as a litter problem. We all understand litter, newspapers, soda bottles or snack food wrappers that are tossed on the sidewalk. Unfortunately we tend to use litter for all “street trash”, both gross illegal dumping and the discarded snack food wrappers. “Street trash” is a better label for the street-sidewalk-vacant lot-park space debris, including: tires, construction debris, TVs, mattresses, bulky items – furniture, residential trash bags as well as pedestrian – vehicular snack food wrappers. Where do we stand today? Are things getting better or worse? We can use Philly311 Illegal Dumping service request data to help us understand the trends, types and locations of street trash. The chart below shows the monthly illegal dumping service requests from January, 2015 through December, 2018. There has been a marked increase in monthly illegal dumping requests, with 2016 levels nearly 35% greater than 2015 levels, 2017 was 15.8% greater than 2016 and 2018 was 22.4% greater than 2017. Since Philly311 does not record the quantity or type of trash found in an illegal dumping service request, I downloaded a sample of 500 illegal dumping service requests with photos and manually coded them by trash type. The chart below shows the percent of the 500 illegal dumping photos that contained the 13 types of trash used for the manual classification. Residential trash, more accurately bagged trash, was visible in 39% of the 2018 photos. Tires, construction debris, Mattresses, Furniture and Big Bellies rounded out the top 6 trash types. The Philly311 database includes the latitude and longitude as well as address and request type of each service request, making it relatively simple to map Philly311 service requests by type, date and location. There were 22,869 illegal dumping service requests in 2018. The hot spot analysis map on the next page identifies the City illegal dumping hot spots based on the clustering of requests. 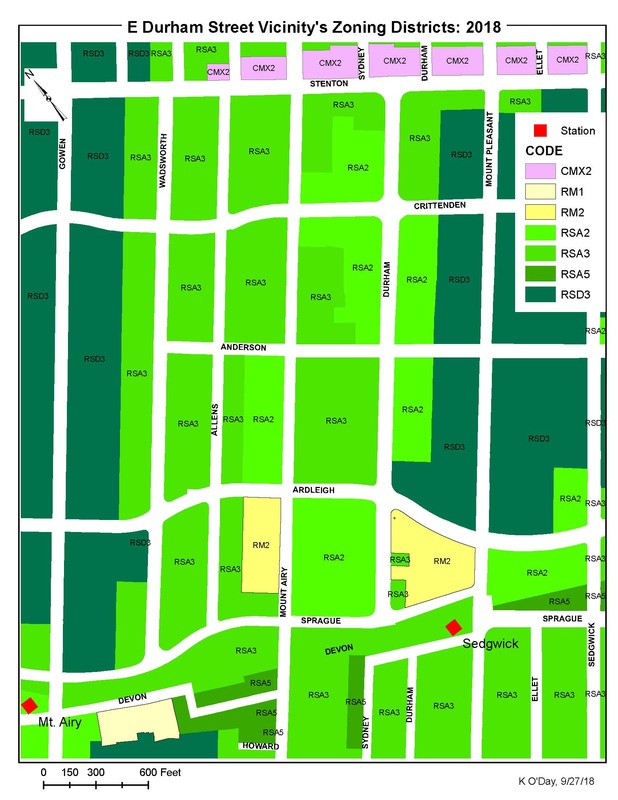 The hot spot analysis subdivides the City into 8,606 equal size grid cells, 18.9 acres each. 13.6% of these grid cells (1,170 out of 8,606) were rated as hot spot areas. This illegal dumping hot spot analysis demonstrates that Philadelphia’s street trash problem varies by area. We need to tailor our street trash solutions to the problem areas rather than have a uniform solution across the City. Philadelphia’s weekly residential trash collection is not adequate in many of our densely populated neighborhoods. High density housing units do not have adequate trash storage for many families who do not have adequate outside space to properly and safely store trash until the next collection day. Philadelphia does not have adequate street trash receptacles (Big Belly’s, Wire Baskets) because of residential trash dumping concerns. City officials, businesses and others have recognized that trash receptacles can be a magnet for residential trash dumping and often eliminate the receptacles to prevent this dumping. The root cause of the receptacle dumping is inadequate trash collection services. Only 1 of the 6 Convenience Centers is located within an Illegal Dumping Service Request Hot Spot area. Philadelphia should assess the optimal number and locations of Sanitary Convenience Centers to minimize illegal dumping. In the past several years, the Streets Department has experimented with Saturday yard waste and Christmas collections by placing trucks at major intersections to simplify residents leaf or Christmas tree drop off. These efforts should be reviewed and careful optimizations studies should be conducted to optimize the use of trash – recyclables drop-off sites to minimize illegal dumping. Streets, L&I, Parks & Recreation, CLIP, Philly311 and other agencies all have a role in Philadelphia street trash issue. The Mayor’s Zero Waste and Litter Cabinet is a major step in improving the coordination and cooperation among agencies which will lead to improvements. Each agency has their own data management systems to support their operational needs. It will be critical for the Cabinet to facilitate development of a City-wide trash monitoring system that will provide integrated information on the street trash problem. Modest enhancements to the Philly311 system would make it even more effective as a Street Trash Management Reporting System. a. Philly311 should develop an “umbrella code” to identify, track and report on all trash related field field service rquests. b. Philly311 should obtain information on actual field trash service request actions, including either issuance of violation notice(s) or collection and removal of trash, including type and quantify of trash collected. c. Philly311 should obtain information on frequent, chronic trash dumping spots so that corrective action plans can be developed for each site and dumping activity can be monitored at these trash hot spot locations. d. The City should develop a consolidated Street Trash Monitoring Report to track trends, quantities and types of illegal dumping clean-ups on a monthly basis. E Durham Street is a quiet residential street in East Mt Airy that includes single family houses and apartments next to SEPTA’s Chestnut Hill East Rail Lines’ Sedgwick Station. 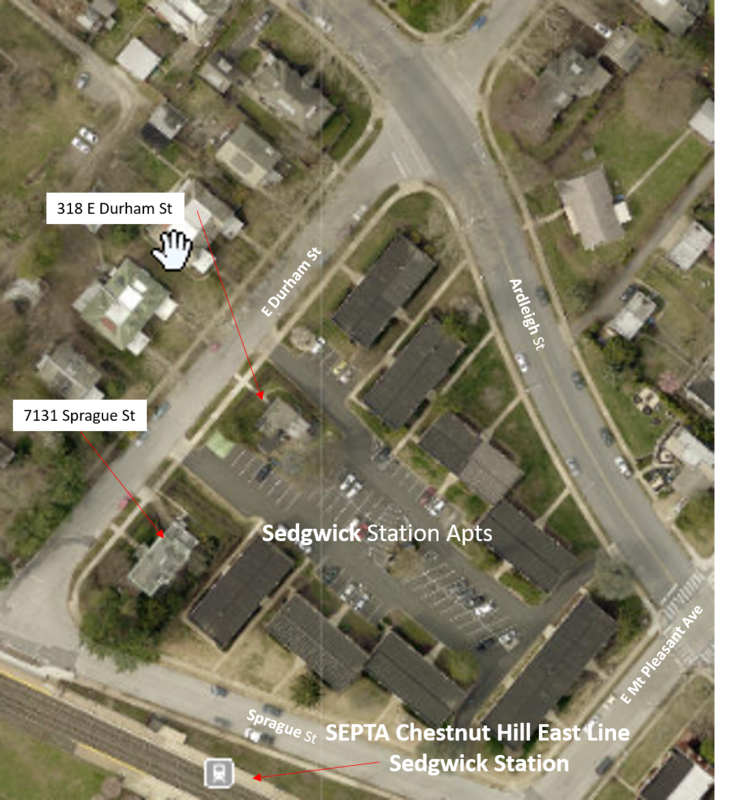 The 93 unit Sedgwick Station Apartments complex has been in the neighborhood since the 1950s and occupies most of the block bounded by E Mt Pleasant Ave, Ardleigh, Sprague and E Durham Streets, except for 2 residential properties: 318 E Durham and 7131 Sprague Streets. Here’s a blow up of the 318 E Durham Street single family house that the owners of Sedgwick Station Apartments, Galman Group, purchased in 2010 and started renting it out in 2013. 318 E Durham Street House – Purchased by Galman Group in 2010, started renting in 2013. Construct an 8 unit apartment building with sales and management office space of for Galman Group’s 6 Mt Airy apartment complexes. Install a stationary sign above on the North wall of the proposed building. 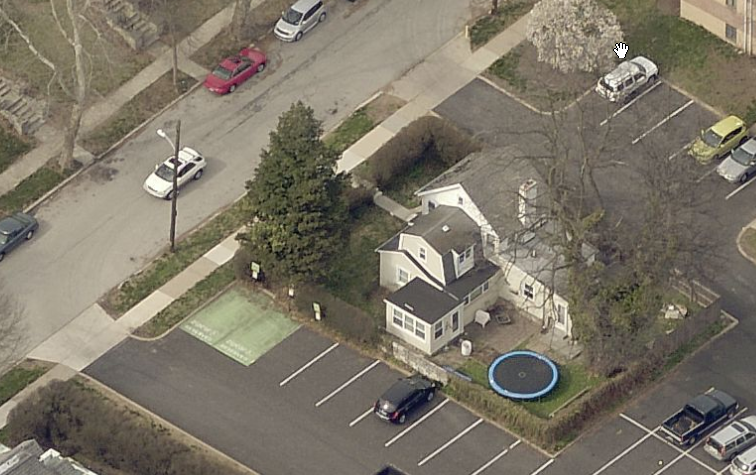 Galman Group is requesting to construct 8 apartment units in a 50 ft by 80 ft lot. 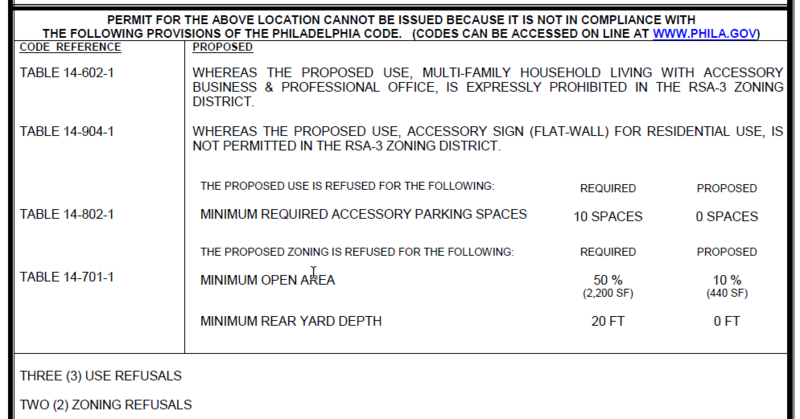 They hope to apply RM-2 zoning to their RSA-3 zoned lot. Galman Groups wants to squeeze 8 apartments into a small 50-by 80 foot lot, ignoring the RSA3 zoning and the residential nature of E Durham Street. Attended EMAN’s RCO meeting on October 2nd in force. Since Galman Group could not answer neighbors zoning variance questions because they did not have an attorney attend the meeting, EMAN requested a continuance of the RCO meeting until November 20th when Galman is expected to discuss the zoning issues with neighbors. We intuitively know that much of the plastic litter on our city streets will be carried by stormwater runoff to our creeks and rivers. We also know that macro plastic breaks down into microplastics (< 5 mm) and that researchers have found elevated levels in freshwater and marine waters across the globe. Unfortunately there is little peer reviewed research into the direct link between stormwater runoff and microplastic levels in river and coastal bays. Two California microplastic studies conducted by Algalita Marine Research Foundation (link) conducted in 2000 – 2001 demonstrate the role that stormwater runoff plays in Southern California coastal water and shows why we need aquatic microplastic research in the Schuylkill – Delaware Basin.